These days Super Heroes with Super Powers are all the rage. They've even produced completely new “Super Man” and “Spider Man” movies with pretty decent results at the box office. We like having heroes. We like to see the “good guys” vanquish all the things that keep the world from being right and good. It's always nice to think there is someone out there looking out for us, making sure that we are safe and comfortable. Those Clark Kent kind of guys are amazing. They do their job without looking for recognition. It is a sense of duty and honor they labor under, and though they are worthy of public accolade, most of the time no one really even realizes who they are. A really good trucker is a Super Hero in my estimation. They do things that most people are completely incapable of. Are you aware that approximately 95% of the people who attempt to make a career of trucking end up throwing in the towel and returning to their regular lives within one year of their attempt at Super Hero status? There are a lot of people who fall short when trying to make their way into this career. Most of them started with a foundation of misconceptions and false expectations about trucking in the first place. And it's no wonder, there is a virtual world of misinformation about the trucking career on the internet. Most of it produced by the very people who failed in their attempts. Finding good solid information about making a decent start in your trucking career is tough. Finding misleading slanderous information about getting started on this path to Super Hero status is as easy as doing a quick Google search on “how to get started in trucking.” Truth has stumbled in the streets, and falsehoods have taken up their seats in the highest places. 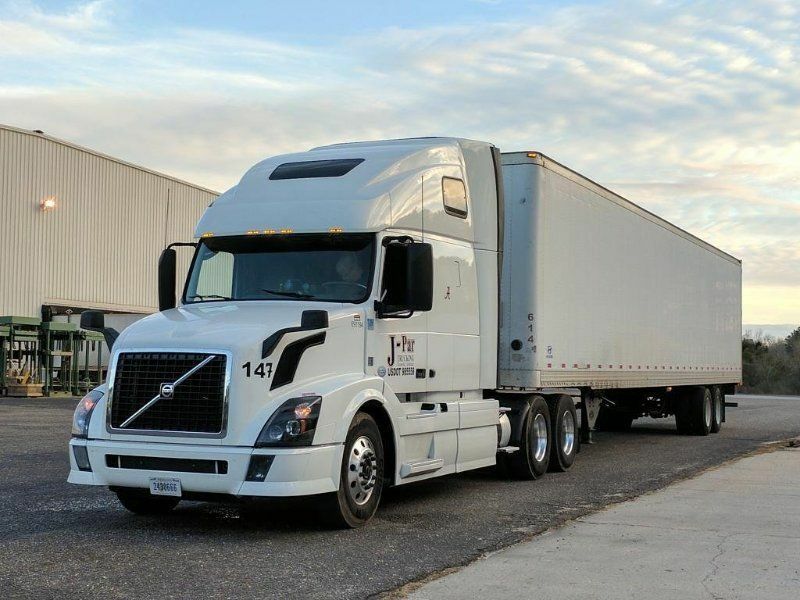 Trucking is a good steady job with decent pay and some really nice perks for those adventurous types of persons who enjoy gratifying their sense of adventure. So, what makes it so challenging for those who want to get into it? Why do we see all these reports online of people complaining that they couldn't make any money as a trucker, and they were miserable because they were mistreated by both their employer and their customers? Why is it we hear such reports of high demands for truck drivers and then we find there is an almost 95% failure rate among rookie wannabes? Trucking is a remarkable career that requires remarkable people. I remember George Jones singing a song about the future of country music in which the chorus of the song asked the question, “Who's gonna fill their shoes?” It's a legitimate question when posed for the trucking career. What kind of people are going to be able to do this job? Where are we going to find them? It's not easy recruiting a bunch of Super Heroes! Are we going to easily replace them with autonomous vehicles? Give me a break! You can't easily replace a Super Hero. We put in a lot of time and effort at Trucking Truth trying to train up Super Heroes. There is a simple and rewarding gratification that we get from seeing a little bit of fruit from our labors. It is, and always will be a constant vigilant battle where you seem like you are the only one paddling the boat against the current. Still, it is rewarding to see a person who “gets it” go out there and start conducting themselves as a successful professional driver. I like to teach people how to succeed at this career. I've been approached numerous times about being a trainer at my company, but so far I've resisted their offers. I like to think I can do more good online. I hope to both teach and inspire more Super Heroes through writing and mentoring in our forum than I could ever hope to do from the cab of my truck in a one on one basis. So, how can a new person entering this field become legendary, and fill those very large shoes of a Super Hero? I'm going to try to break this down to a simple three point plan. Trust me, there are a lot of blanks that we are not going to fill in with a discussion this short, but I do want to lay out for you three areas that a new driver has to focus on as he tries to establish himself in this career. If you can focus on being successful at these three points, you will begin to lay a foundation for success at the rewarding career and lifestyle of an Over The Road truck driver. These three points are vitally important, and I think they are things that I repeatedly see people falling short at. Remember, in this career you are not a solo act. You are part of a team. It is tempting to think you are out here alone doing your job. It is a job with much solitude to it, but there are people on your team who have the power to support you and feed you the “good stuff” that keeps you on the right track for success. You want those people in the office, to think of you as a person with Super Powers. Those are the drivers they depend on and continually call on with the best load assignments. I hope that Safety is an obvious factor of focus for you. The lack of this focus is usually the first thing that gets people removed from this job. I can't tell you how many times I have seen this in our forum discussions. A new driver starts his solo career, and then has a few mishaps. Look, when you are driving an 80,000 pound vehicle which is 70 plus feet long and bends in the middle, you are going to really have to focus on not crushing things around you. The companies that hire new drivers will usually show a little leniency on you at the beginning of your career, but you have got to take this seriously and learn from your mistakes. You have always got to take responsibility for your errors. Don't ever start trying to play the blame game if you get called in for a meeting with the safety director. If you backed into something, it is because you didn't G.O.A.L. (Get Out And Look) – it's not because “that stupid pole shouldn't have been there in the first place.” Take responsibility for your mistakes and learn from them. Another thing about safety that often gets overlooked is that you need to be continually teaching yourself how to conduct yourself out here safely. That is a big part of taking responsibility. There is only so much training that can be done for you by others. Some of what you will learn in this career is self taught by exposing yourself to the many different scenarios that a professional driver has to deal with. How does one get experience? By doing - it's that simple. How does one gain good safe experiences? By cautiously broadening your exposure to the things that hinder the less experienced drivers. I made some comments in an article the other day about taking the loads that no one else was willing to do. The comments were about a certain load that I run up into the Northeast. Someone responded that they would not take those loads because of their lack of experience with the snow and ice up there during the winter. Have you ever watched a professional athlete stretching before a game? Why do they do that? They want to stretch those muscles beyond their normal capacity before the game so the muscles will not fail them during the heat of the competition. It's the same way in this career. You want to gradually and cautiously expose yourself to all the many extremes that a professional driver will face so when you encounter them you can conquer them. It is the guys and gals who demonstrate Super Powers at this career who consistently get called upon with the best loads. If you back down every time a challenge comes along you will never learn to deal with the constantly moving targets that we are called upon to hit. If you park it each time a little dusting of snow comes along, you will never learn to drive in the snow. I'm not recommending that you throw caution to the wind, but simply that you push yourself a little at times so that you can begin to establish yourself as a person who can safely “git er done” when called upon to vanquish a challenge. Service is what this business is all about. I consider this career to be much like being self employed. People who've never been self employed think it's a state of Nirvana due to the fact that you have no boss. People who have been down that road know that everybody is your boss, and you have to please everyone. In trucking you're not just trying to please “the boss.” You may not even know who the boss is. You've got dispatchers, customers, load planners, and even law enforcement personnel that you will have to interact with. If you leave some of them with a bitter taste in their mouth about your service then they have the power to really mess up your career. You want to exercise Super Powers in all these encounters so that you establish yourself as a professional driver who can be counted on to provide excellent service, always exceeding their expectations. You may need to go out of your way to provide really good service to your customers. I often times drive all through the night just so that I can be the first one in the gate with the goods that my customer is waiting on. I know drivers who tell their dispatcher that they are a “day time driver,” as if that were some sort of endorsement on their CDL. I seriously have to suppress a laugh when I hear this type of stuff. Drivers who hinder themselves with these imaginary disabilities really hurt their careers. They do not possess the capacity to be Super Heroes in the eyes of the people who have the power to have a positive effect on their careers, and they unintentionally put themselves into a category of mediocre performers who never get the opportunities to really advance their trucking career. Service requires sacrifice. Learn to make those sacrifices, and you will set yourself up as a Super Hero in the world of trucking. Success is an outcome or a result. In trucking it is something you can bring about yourself. This is a performance based business. You consistently get things done, and you establish yourself as successful. Don't listen to the naysayers. I feel bad for some of the people I see trying to figure this career out. Some of them are newbies, and some of them veteran drivers of many years who still can't seem to lay hold of success at this career. I watch people spend countless hours wrangling with which company to start with, or whether they should lease a truck or be a company driver. Every one wants to make the most money they can at this, and they think that there is some way to go about it that no one else has ever figured out. If they could just get all the pieces to fall into place they could find that super secret formula for success. In vain they struggle with spread sheets that net them useless results, and they frustrate themselves to no end only to come up confused and empty handed. I have had a lot of success at this. All I did was focus on maximizing my efforts at serving my customers. If I could get there early I did it. I learned to contact my customers and move my appointment times up. I made this such a habitual behavior that soon my dispatcher realized I was going to get every assignment accomplished early. Guess what? He started looking out for me way before I sent in my empty calls. He started getting me assignments stacked up and ready to go. He knew he could count on my ability to deliver. He considered me a Super Hero and didn't want my Super Powers to go to waste. He did not want me sitting idle, when he had a problem he thought I could vanquish. I soon was making top dollar in a career where many people settle for half of what I earn. I can honestly tell you that I am earning the equivalent of the top Wal-Mart drivers, and I do this at one of the mega carriers who the internet whiners and complainers claim are keeping driver's wages down. I haven't started wearing bright red underpants on the outside of my shiny blue tights yet, but I have built a reputation of being the guy they can depend on. If you can focus on those three things, everything else will fall into place for you.